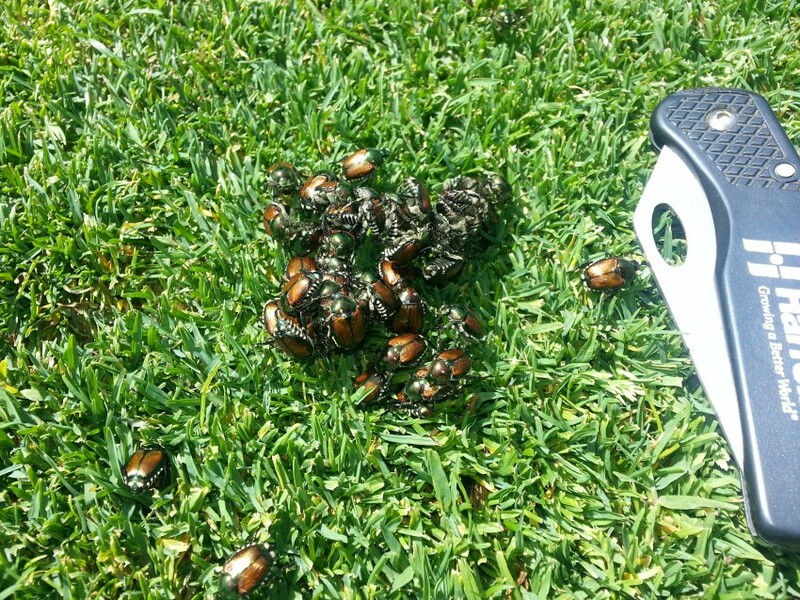 Golf Turf Diseases of the Week: Here Comes the Fuzz! For the most part, late spring and early summer this year has been reasonable, weather-wise. So goes the weather, so goes the turfgrass. So far, the turfgrass submissions to the Plant Diagnostic Laboratory have been slow and steady… until last week, that is. 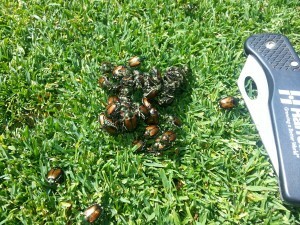 Golf turf suddenly realized it was summer and the party started with some dollar spot. 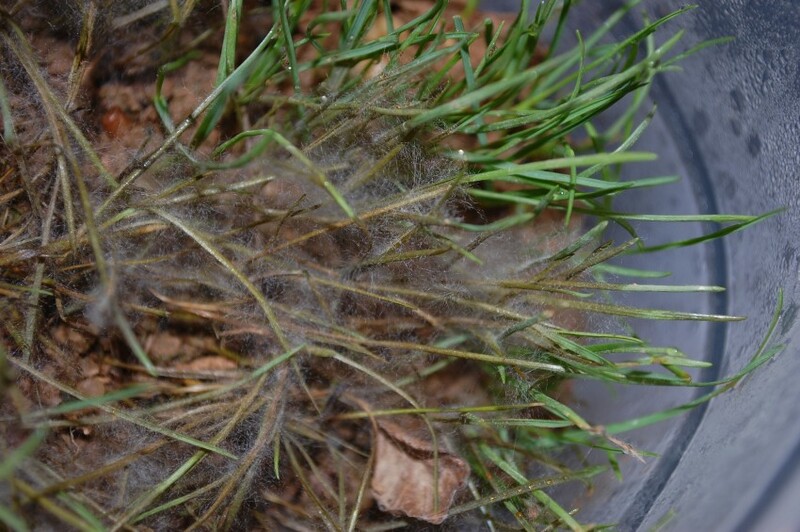 My personal highlights, however, were the samples of Pythium blight that arrived mid-week. 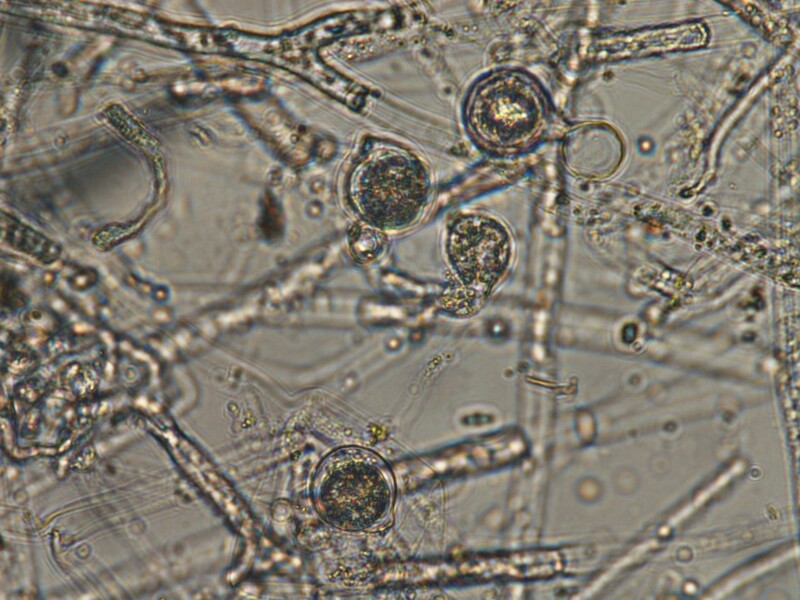 Day and night temperatures above 85ºF and 70ºF, respectively, and relative humidity above 90% for at least 14 hours are generally required to get Pythium blight cranking. Dr. Phil Halisky used to tell me that we needed three consecutive days with relative humidities and temperatures above 150 for Pythium outbreaks to occur. Whichever way you slice it, we had those conditions almost every day last week and in came the Pythium samples. 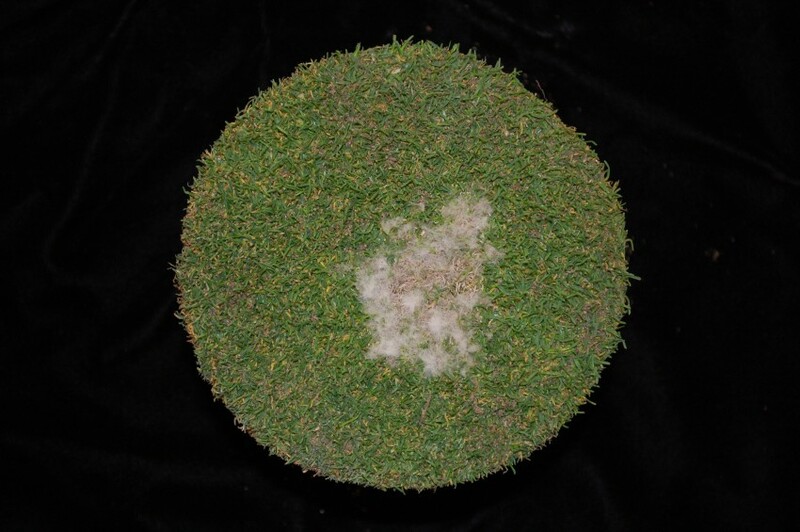 Distinquishing Pythium from dollar spot is as easy as making a slide (although, field symptoms are pretty telling). 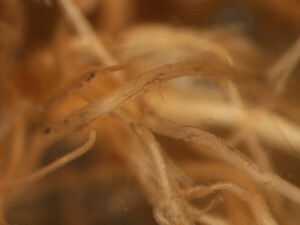 Pythium species have hyphae with no (or very few) cross walls and rapidly produce an abundance of reproductive propagules. The dollar spot fungus is sterile and has plenty of cross walls. Summer patch also arrived right on schedule. The conventional wisdom is that summer patch exhibits symptoms around Independence Day. We made our first diagnosis of the disease on samples submitted last Wednesday – right in time for the holiday weekend! 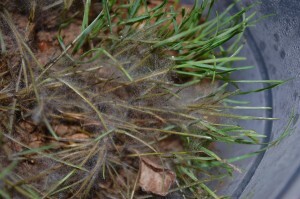 Of course, the “fuzz” associated with summer patch is not visible, because it is on the roots of infected grass plants and not in the foliage. 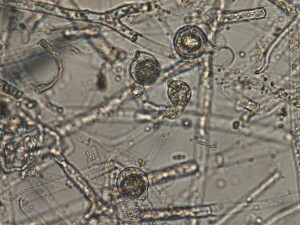 Once in the laboratory, however, a trained eye can easily identify the pathogen. Can’t make an early summer golf turf disease post without a shot of anthracnose. 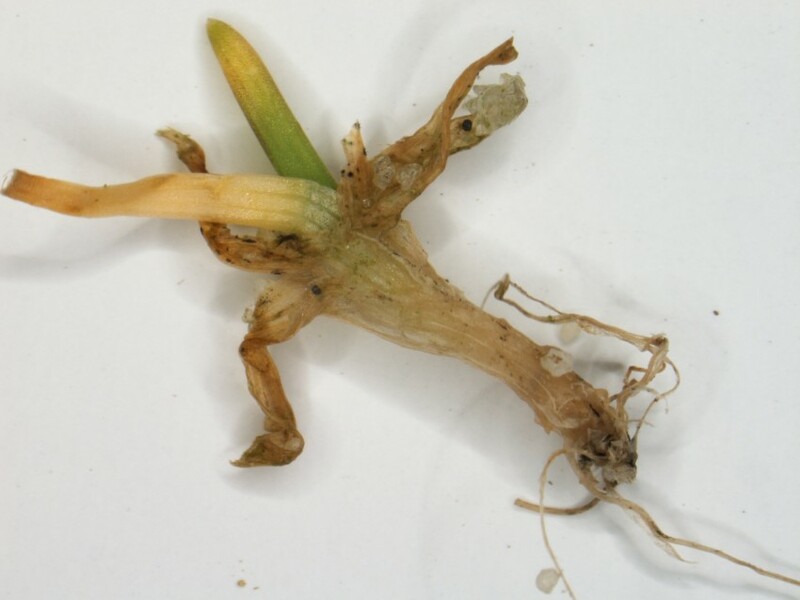 The numbers of anthracnose samples submitted to the Plant Diagnostic Laboratory have declined over the years as research scientists and graduate students developed best management practices for anthracnose management. 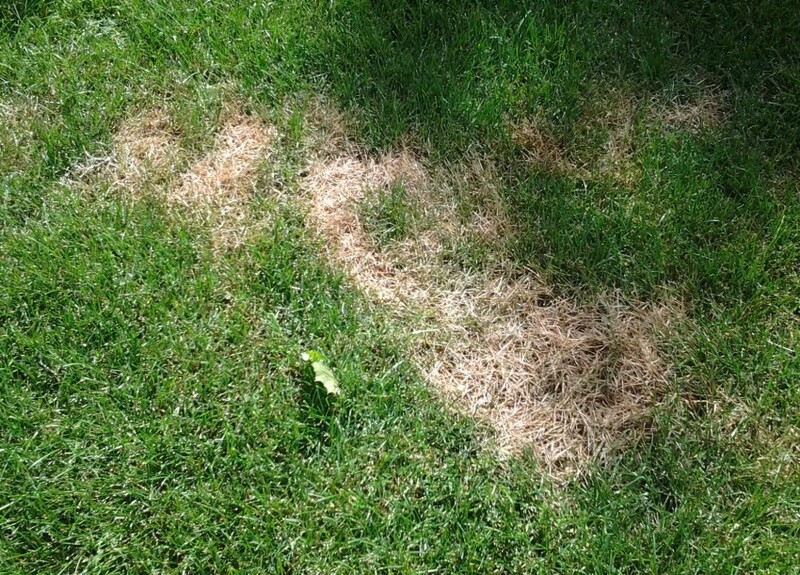 Despite our best advice, many Rutgers Plant Diagnostic Laboratory clients push the limits of their grass and wind up with a little disease action. We’re off to the races. Now go on out and kill a putting green for me… hope to see ya between now and field days!